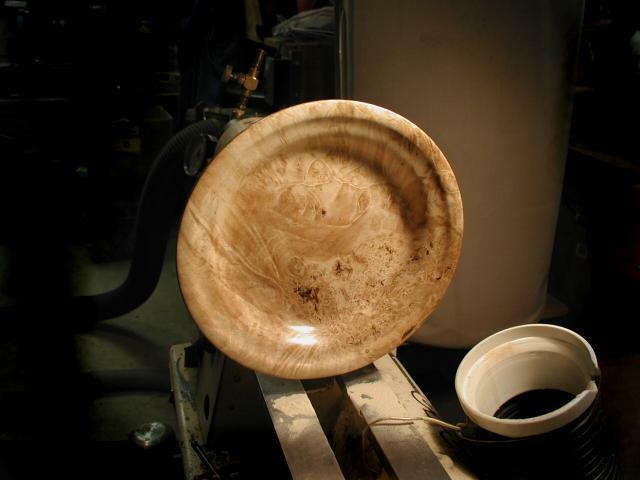 Finish the bottom as you normally would and remove some of the wood from the top of the plate as shown below. 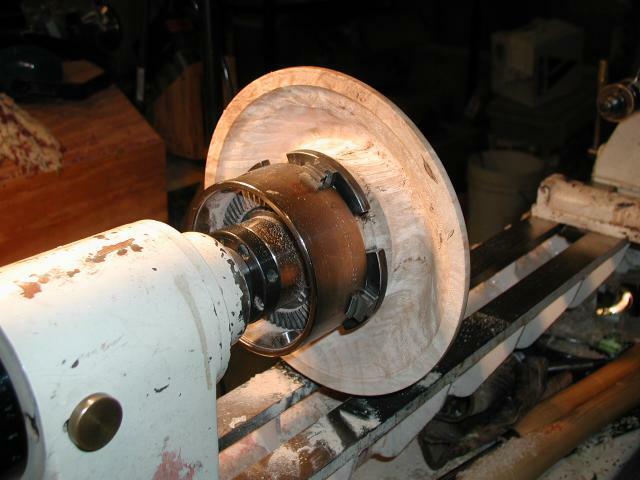 Here the bottom of the plate is completely finished while still on the Stronghold chuck. This picture shows the Stronghold chuck on the Tolly tail stock adapter and on the Oneway live center in the tail stock. Vacuum system is hooked up and vacuum is turned on. Bring the plate up to the headstock (vacuum chuck) and check the gauge to ensure you have an adequate hold. Leave vacuum on and remove the chuck from the tail stock. This will leave your platter aligned on the vacuum chuck. 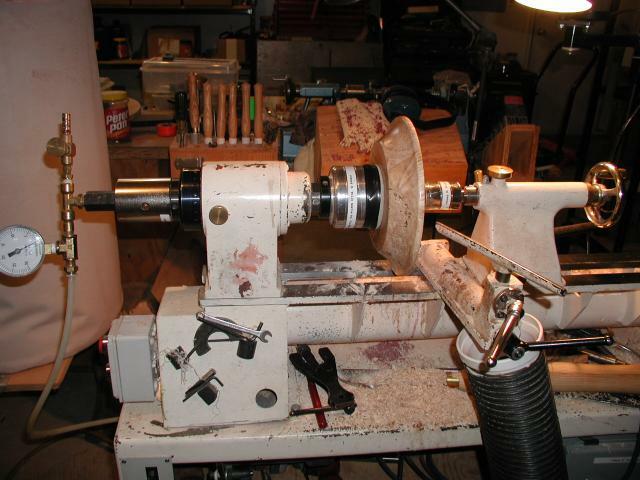 Remove the chuck and Tolly tailstock adapter from the live center and leave the live center in the tailstock. 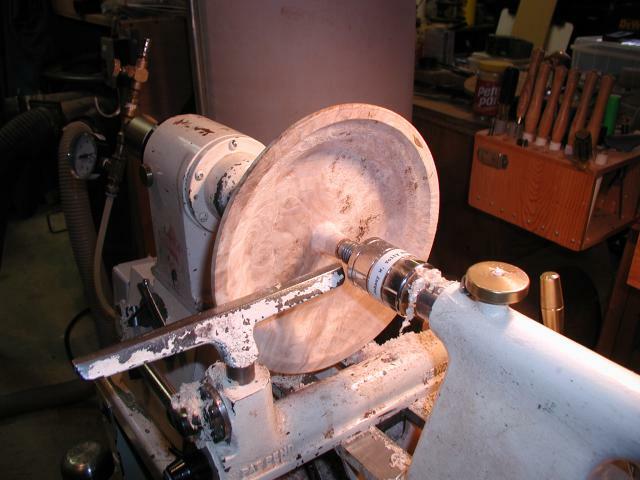 Bring the tailstock up for added safety. 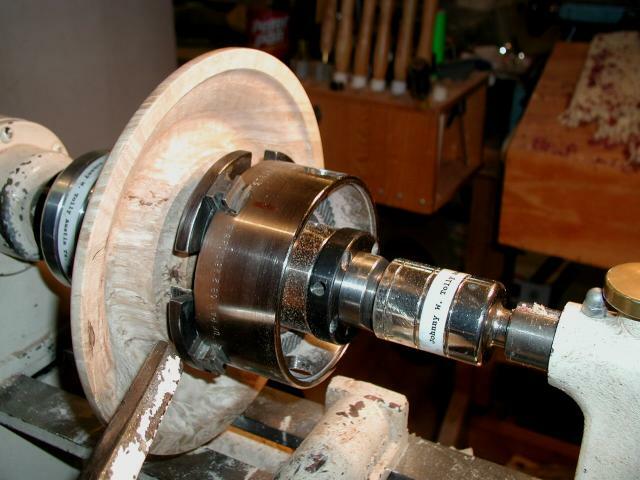 Remove wood while leaving a tenon in the center. This picture shows the plate on the vacuum system. Tailstock is supporting the plate next to the vacuum drum chuck. Note vacuum is turned off. 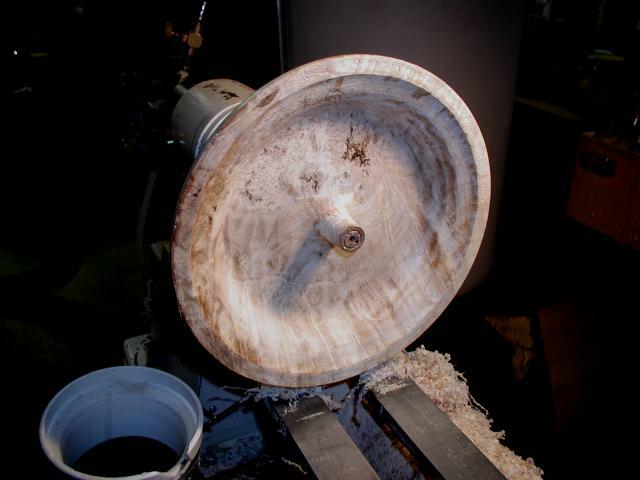 This picture shows the wood removed with a small tenon still in the center of the plate for support. Vacuum may be turned off and the plate will remain centered correctly. This picture shows the plate being held in place with the vacuum system ready to remove the small tenon. This picture shows the tailstock adapter on the live center backwards. This allows one to go in and eat lunch or get that cup of coffee. 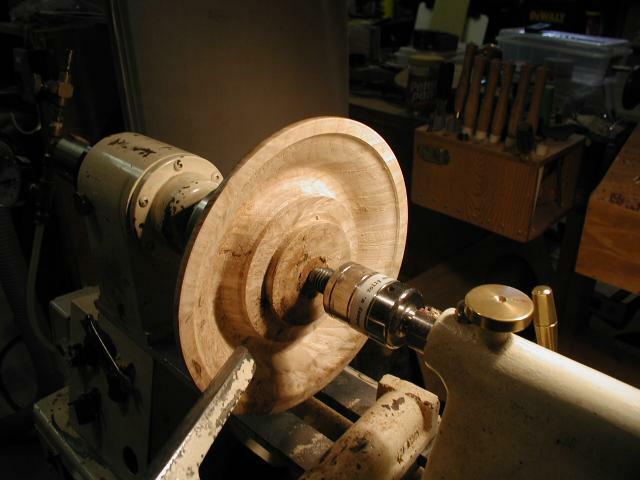 Just use your imagination for other reasons, like if you drink too much coffee and need to stop the lathe. This picture shows the plate top completely finished but still being held with the vacuum system. 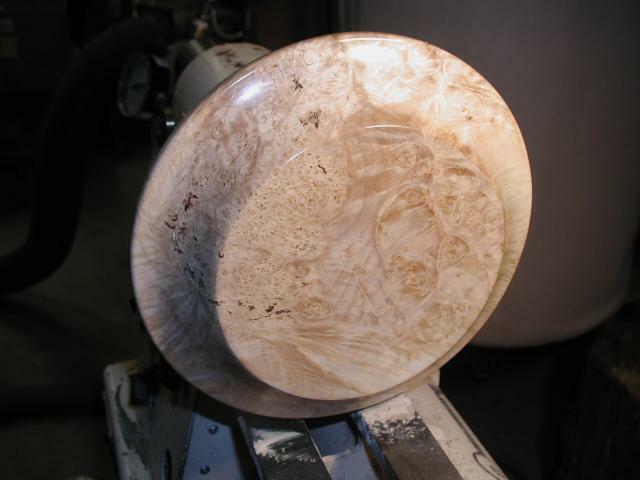 The wood is Burl Maple.